Hi friends! Today I’m continuing the goal setting series I started last month with a peek inside my friend Hannah’s planner. 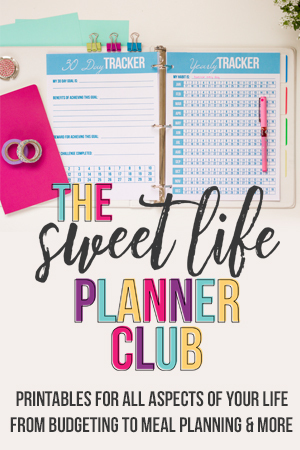 Of course, Hannah is using her 2018 Sweet Life Planner, and she’s super excited for the improvements coming in the 2019 version! You can read all about it and order yours by clicking here. 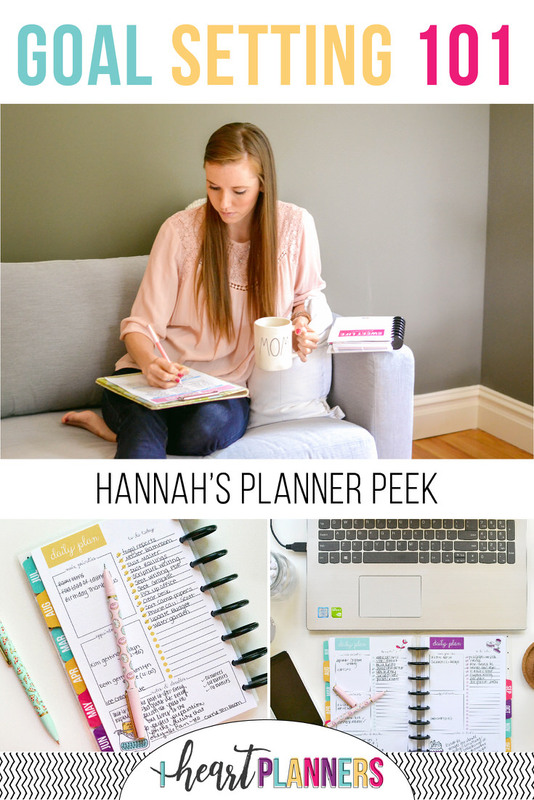 Hannah has really played with and tested lots of different planners, printables, journals, etc over the past few years. 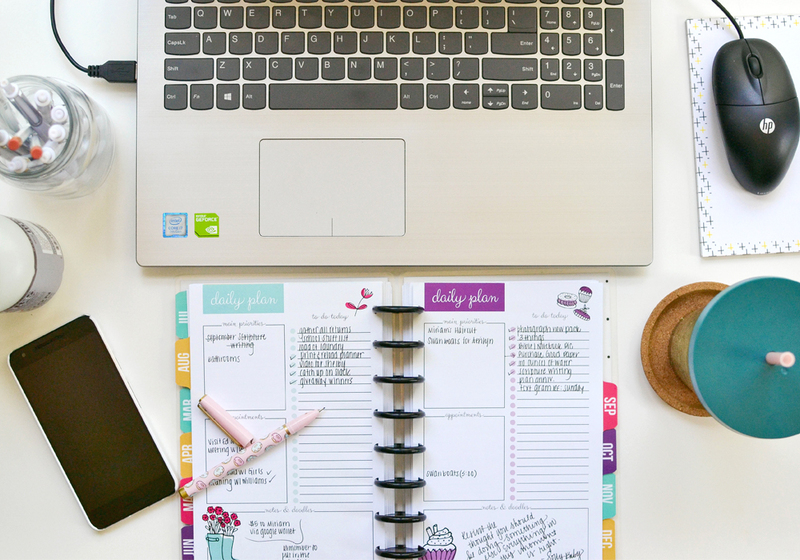 She’s sharing a detailed look at exactly what works for her to feel productive and purposeful each day plus reach her goals. I just LOVE how much progress she has made on her goals by simply tracking them and chipping away at them a little at a time. Hi friends! Hannah here! 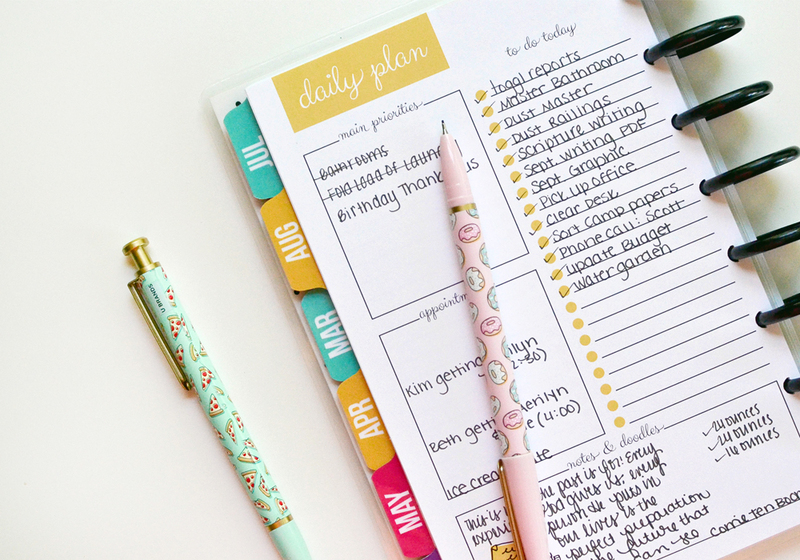 Today I’m sharing a peek into my planner! 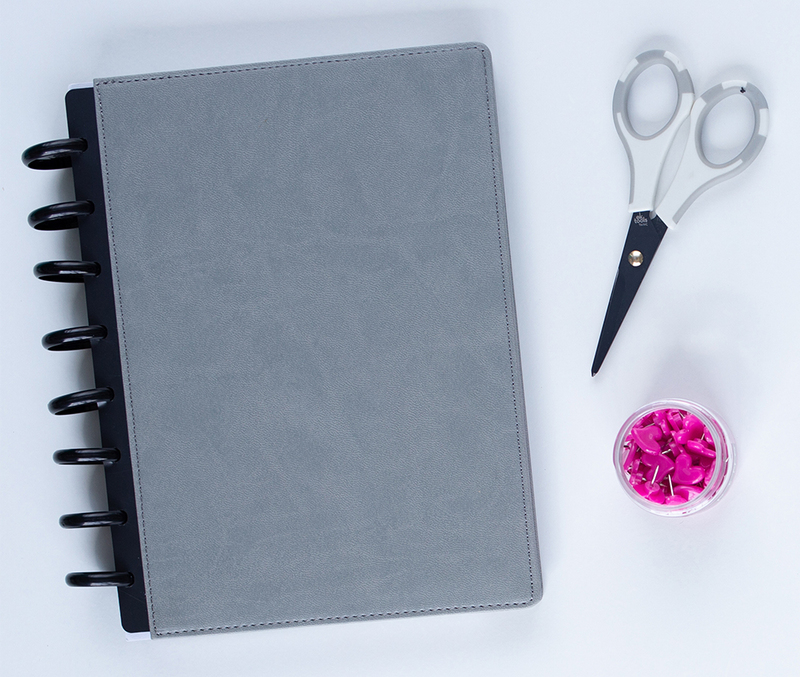 You know the I Heart Planners team believes strongly that planning is personal, so when we share our planners with you, we never intend for anyone to feel pressure to do things the exact same way! However, the team also knows that sometimes seeing new systems and new methods of planning can be inspirational and helpful, which is what this entire blog post is about! Over the last couple of years, I’ve played with and tested lots of different planners, printables, journals, etc. Here is what I’ve landed on that works for me! 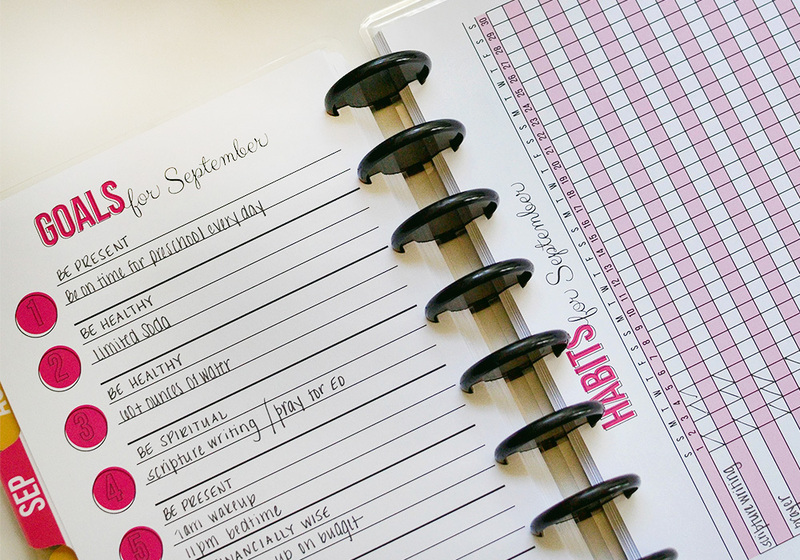 I have found that setting goals at the beginning of the year helps me when it comes to planning my months, weeks and days. When setting goals, I find it helpful to think about areas in my life that I would like to improve. My overall categories are not anything shocking or extremely unique. Things like being financially wise, being healthy, and being spiritual to name a few. Once I come up with these overall categories that help me picture who I’m building myself into, I write down the individual steps that help me get there. For example, in order for me to be healthy, I know I need to drink more water, drink less soda, and run multiple times per week. These become the habits that will help me attain my goals. One thing that Laura has taught me is that you cannot realistically work on every goal all year long. Once I have all my goals for the year written out, I choose three to five habits from each category to focus on each month. By breaking down my goals into bite-sized pieces, I find that I can really focus on improving myself step by step. For years, I worked as an administrative assistant and had a daily plan. Usually, it was scribbled on a post-it or in a random notebook, but I really took great pride in meeting deadlines, organizing school events and getting things done! I’m forever thankful for those years that truly helped me learn time management. It’s amazing what you can accomplish with a well organized day! 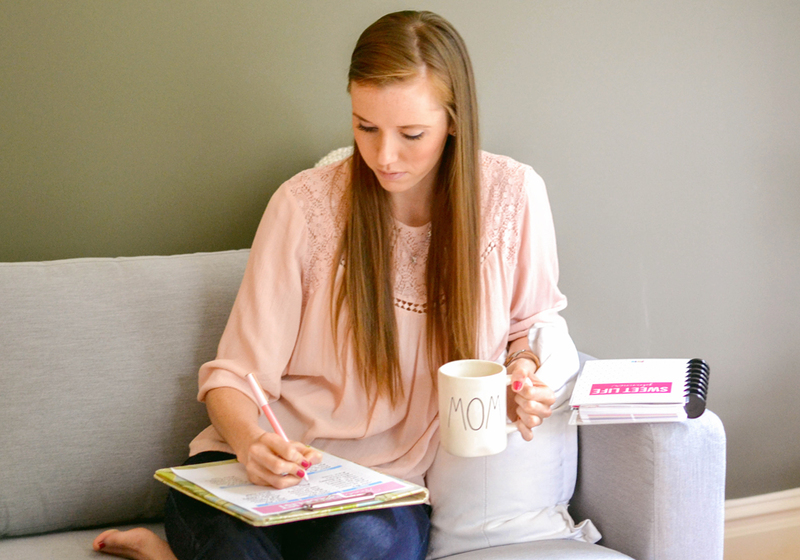 When I became a stay at home mom, I stopped having any sort of daily plan. After all, I was usually just doing the same tasks over and over again day after day. I really didn’t think it helpful or beneficial to write “empty dishwasher” on my to-do list every day. How wrong I was!! In the last couple of years, I’ve started using a daily plan almost every day. My daily plan is a great place to jot down random to-do tasks, daily tasks as well as time-sensitive events or deadlines. I have realized that I can accomplish so much more with the time I’ve been blessed with when I take a few moments to sort through my day and prioritize my tasks. Here are a few mundane, daily tasks that I usually will record on my to-do list to A. Remind myself to get them done B. 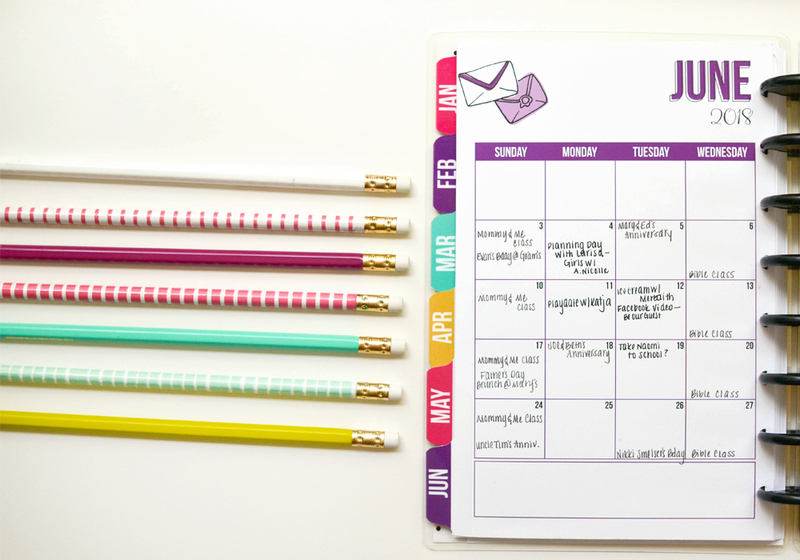 Practically and realistically arrange my day so that I can get as much done as I can! I find that even on the busiest days when I make time for these tasks, I am usually more productive. I work better when the space around me is clear and easy to work in. It leaves more brain space for the other tasks on my to-do list. Here’s another suggestion for daily planning: Write things down that you’d like to prioritize with your family. If you feel like you’re struggling to find quiet time to sit and read a book with your kids, put it on your to-do list. I think sometimes it’s helpful to put down quality time with our husband or children because it is a written reminder to us that we need to make time for those moments. 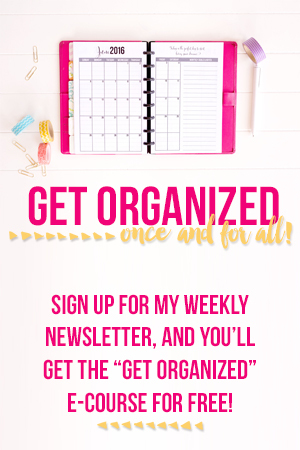 Here’s a suggestion that came directly from Laura, but is an absolute game-changer when it comes to daily planning. Before I joined her team, I was randomly making to-do lists and then spiraling into feeling like a failure when I couldn’t accomplish everything on my list. What Laura pointed out is that my to-do lists were more like wish-lists. They were full of every single task (big and little) that I wanted to accomplish that day. They were unrealistic. So what did I change? I started listing 3 main priorities that I wanted to get done every day. I’d start my to-do list and then ask myself, “What absolutely has to get done today or something bad will happen?” A task like “Clean out Refrigerator” is a good task to have on my to-do list, but it has never made it to my main priorities. Nothing bad is going to happen if I don’t get to that today. Tasks such as “Prep for Bible Class” are a very time sensitive and high priority tasks that need to be done or there will be negative consequences. I usually start my daily plan by checking my monthly spread to see if I have any big commitments, appointments, family birthdays, etc. that I need to be aware of as I plan my day. I also have a Google calendar that I use with my husband to help us stay on the same page. This works together with my monthly spread. I try to remember to put my habits on my daily plan so that I have that reminder right in front of my face demanding a checkmark every day! Notes/Quotes – I like to have some blank space on my daily plan to jot down motivational quotes or funny quotes from my kids. Space to Track Water Intake – Some daily printables have a water tracking space. For the ones that don’t, I create my own! 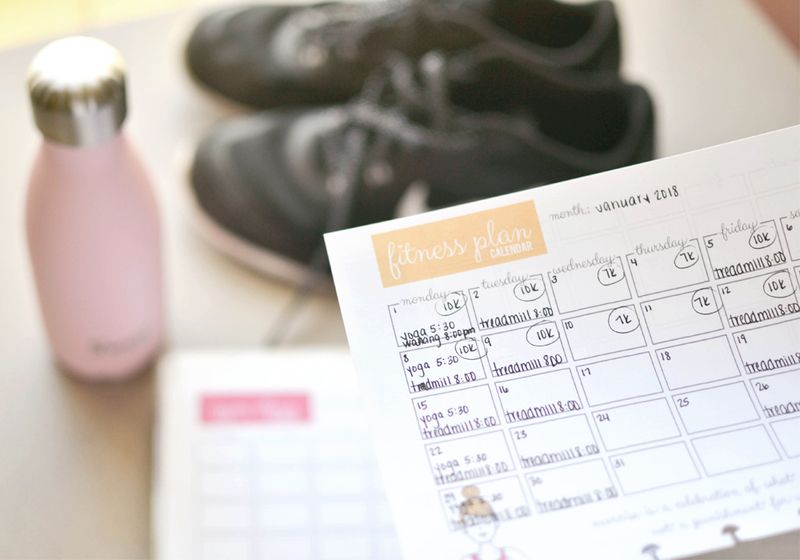 Fitness Printables – I like to record my times and goals and plans from my workouts so that I have a good idea of where I’m at and where I need to head. And if you’d like to snag the same planner I’m using, click here for details on how you can get one. 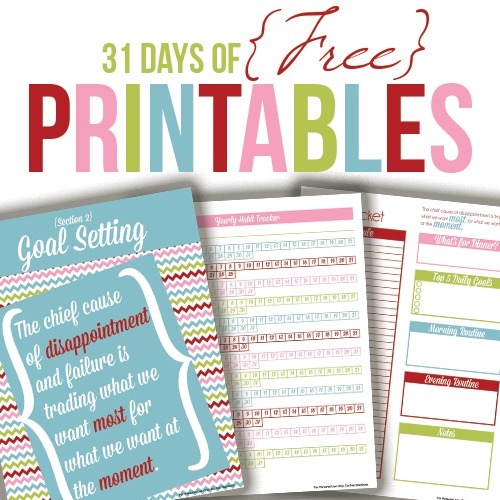 The printables I’m using are from the Sweet Life Planner Club. I am taking the wish list vs to do list to heart. I love lists but I put so much on my list I never get it finished. Then I feel guilty i didn’t get more done. I need to pare it down and see if i have better luck.